For those who were from the older generation, the name Kham Kee would have brought back many memories. 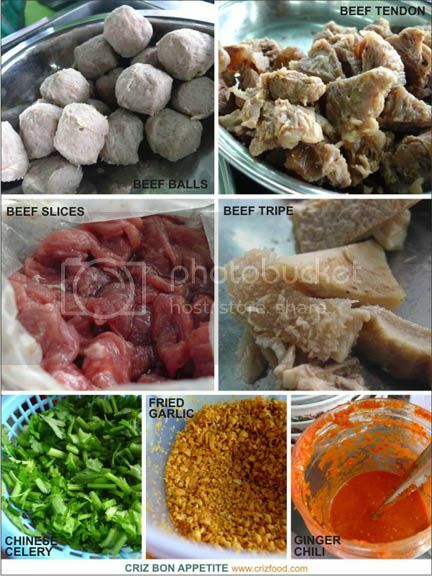 It was a trademark for the earliest beef steamboat in Penang. Initially located along the row of shop houses as Waterfall Hotel, Jalan Gottlieb, Penang, it has now moved to a residential area along Jalan Gajah, Tanjung Tokong, Penang, for years where it only cater for private bookings. 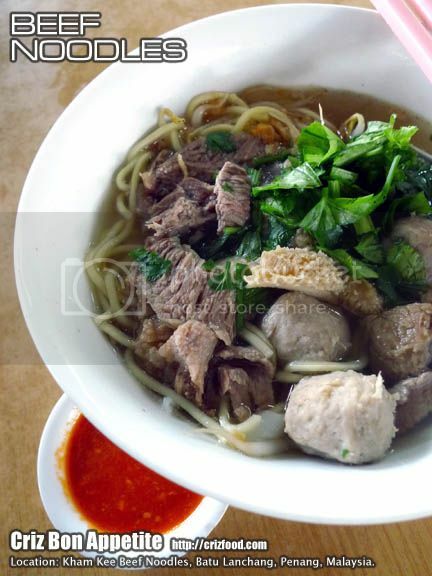 Fear not as they have now set up a stall named Kham Kee Beef Noodles along Jalan Tan Sri Teh Ewe Lim, serving a simple spread of beef items with either noodles or rice. The bowl of beef noodles (Minimum RM7.00) is quite similar to the famous beef noodles stall at 2828 Café along Jalan Perak, Penang, with a clearer and not too beefy soup base. One thing you can be sure of is that it won’t be as oily as the rest as they do not add in lard in oil. Sorry lard lovers, it’s time to stay healthier~ LOL! Overall, the taste for the beef noodles soup was not as great as it was during the old days where it had a thicker taste but still better than some beef noodles stalls in term of less oil and not much weird innards in the dish. Simplicity can still be the best for me. Do watch out as the chili sauce can be super spicy. Special arrangement can be made for takeaway steamboat ingredients and soup from RM100 onwards. 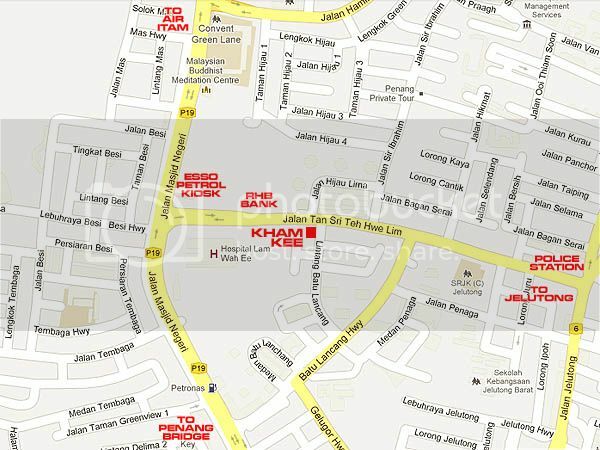 Kham Kee Beef Noodles stall is located within the premises of New B Garden Café along Jalan Tan Sri Teh Ewe Lim, a bit further up from Lam Wah Ee Hospital. If you are coming from Jalan Mesjid Negeri from Air Itam, just watch out for the ESSO petrol kiosk on you left. 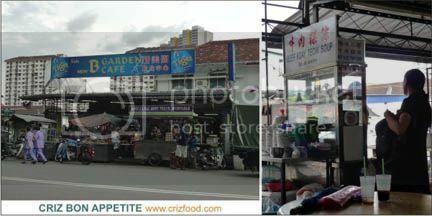 Immediately after the petrol kiosk, turn left into Jalan Tan Sri Teh Ewe Lim (next to an overhead bridge). Drive on for another 300m or so and you will see the RHB Bank there. Park your vehicle there and walk over the opposite direction. You would see a large blue signboard with “New B Garden Café” at the corner of Jalan Tan Sri Teh Ewe Lim and Lintang Batu Lanchang. The stall is in there. Address: 139 Jalan Tan Sri Teh Ewe Lim, 11600 Penang, Malaysia.